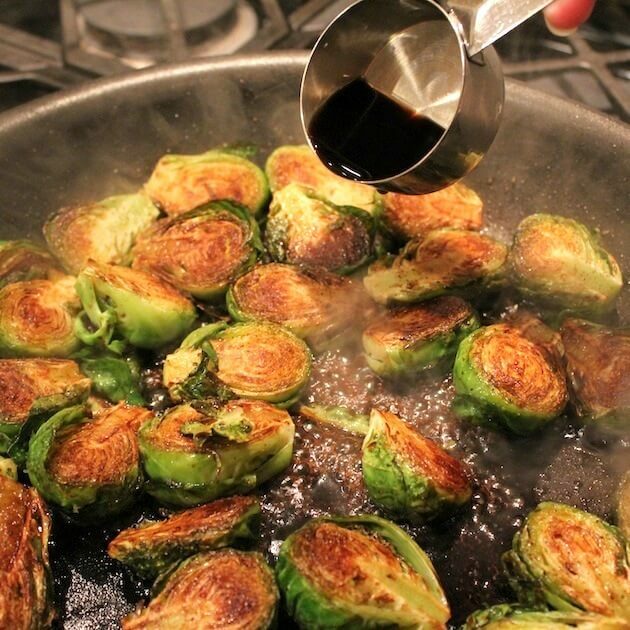 These Balsamic Glazed Brussel Sprouts are the perfect balance of savory & sweet! How many ways can you eat a Brussels Sprout? Probably too many to count. One reason I love them is they act like little sponges…soaking up whatever goodness you cook them with. I like to cut mine in half and sauté them in some olive oil, salt and pepper on the stove. 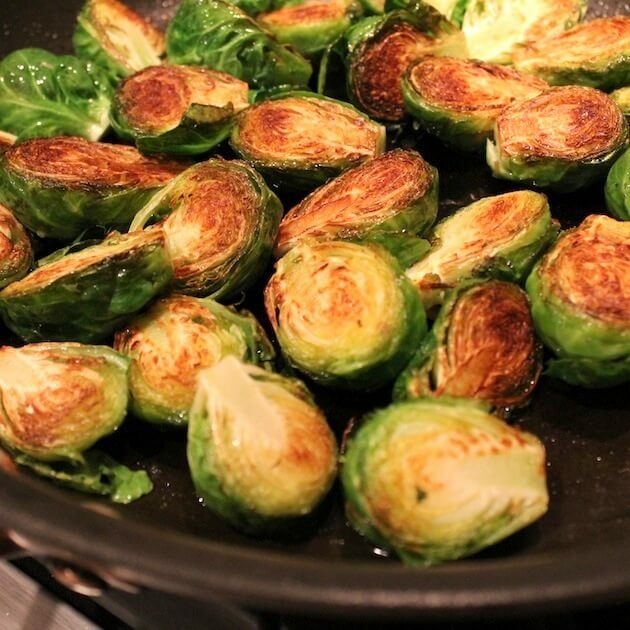 Pan fried Brussels sprouts? Oh yes. This cooks them much quicker than baking in the oven and I have more control over how long they cook on each side. Sometimes I like to sprinkle them with Asiago cheese and let them get all ooey and gooey. This is another one of those recipes that doesn’t involve a moving truck full of ingredients, can be thrown together in a short amount of time, and most importantly is delicious. Because you can’t always make bacon-wrapped brussel sprouts. 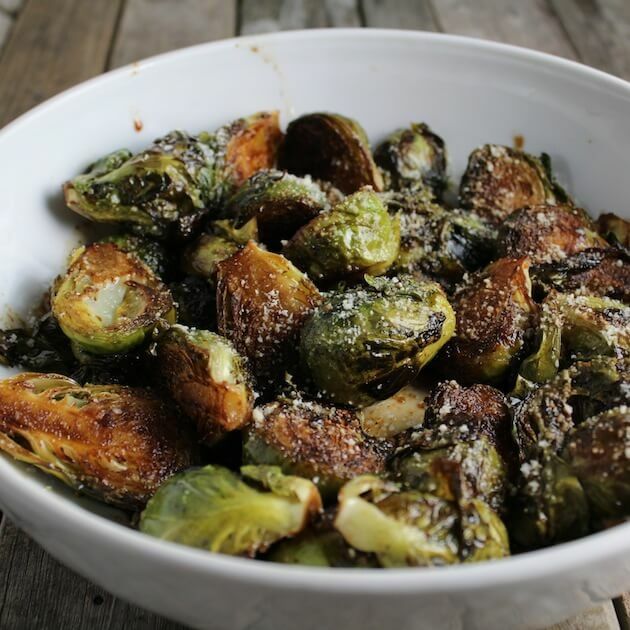 For a short and sweet side dish give these Parmesan Brussels Sprouts a try! 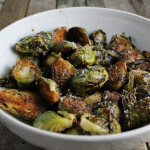 Brussels Sprouts with balsamic vinegar, for a sweet caramelized glaze. 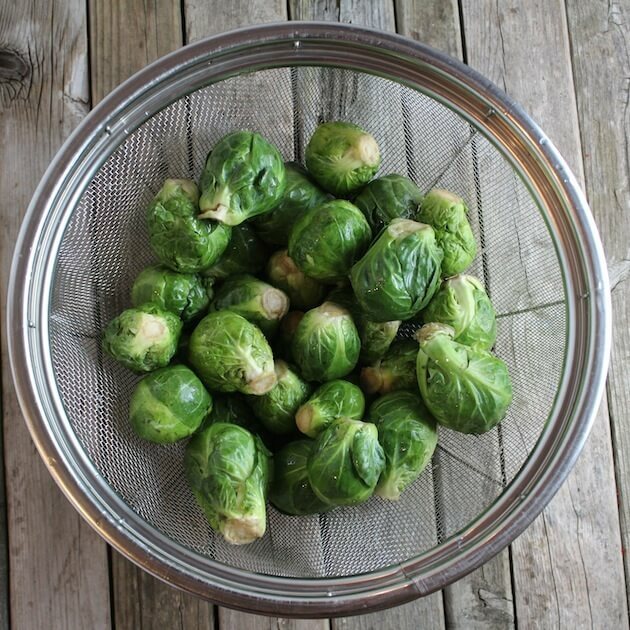 Slide the Brussels Sprouts onto a serving dish and dig in! The Brussels Sprouts should be a little crunchy. If they cook too long, they will be bitter. You could sprinkle some crumbled bacon over them, or grated parmesan cheese. I haven’t try this before but it does look delicious. Thank you Christina! 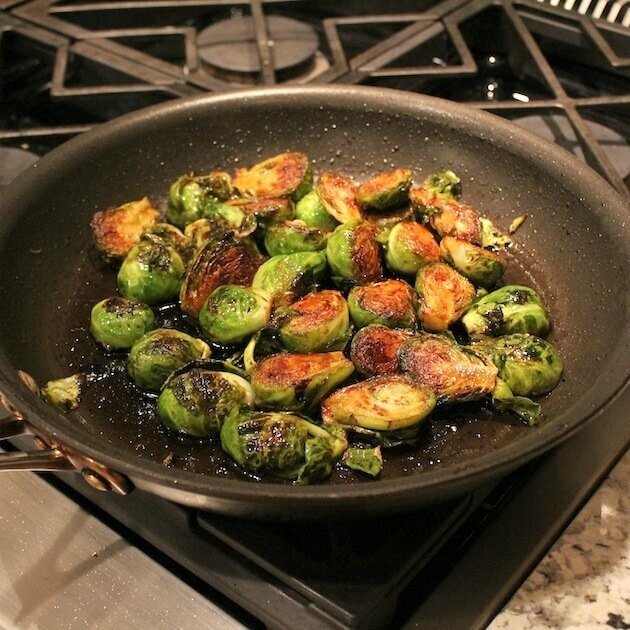 I’m kind of crazy about Brussels Sprouts and I find that sautéing them on the stove is not only the quickest method but the tastiest as well. The addition of balsamic in this recipe gives them a hint of sweetness and caramelization. You should give them a try! Super yum! 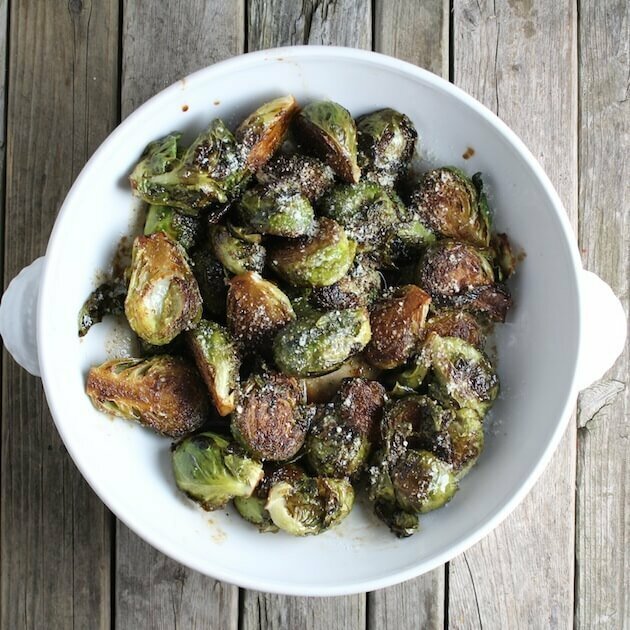 I’m a Brussels sprouts fanatic and these look amazing! Thanks Carol! They are all caramelized and tasty! Excellent recipe. So easy, quick and a great way to transform boring Brussels. I’m glad you enjoyed the recipe Todd! Thanks for the props!? Can’t wait! 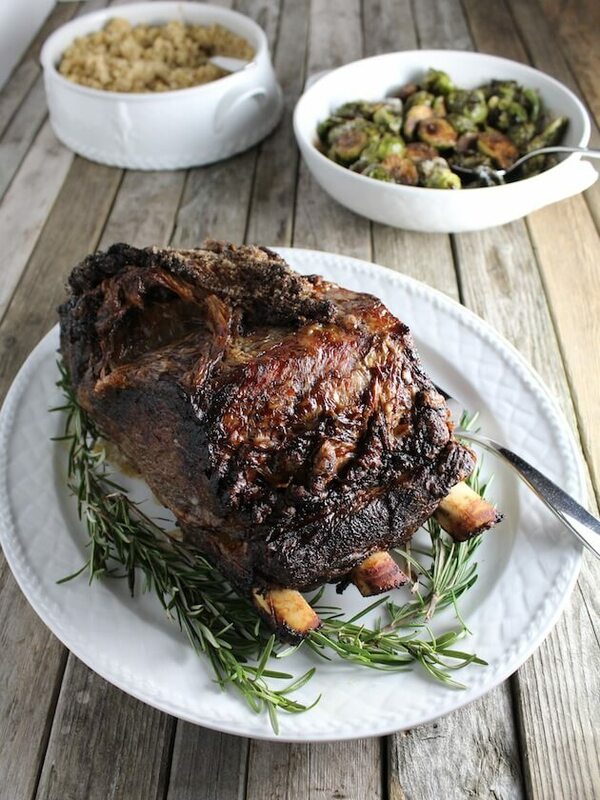 Even though I’m on bedrest, I am totally requesting this be made for our New year’s Eve dinner! yum yum! I think you’ll love them – they are so yummy and healthy! !